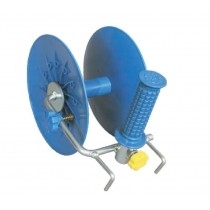 A robust galvanised reel unit with interchangable spool. Has a locking mechanism, and takes upto 600mtrs standard wire. Handle will fi t on posts upto 18mm in diameter.